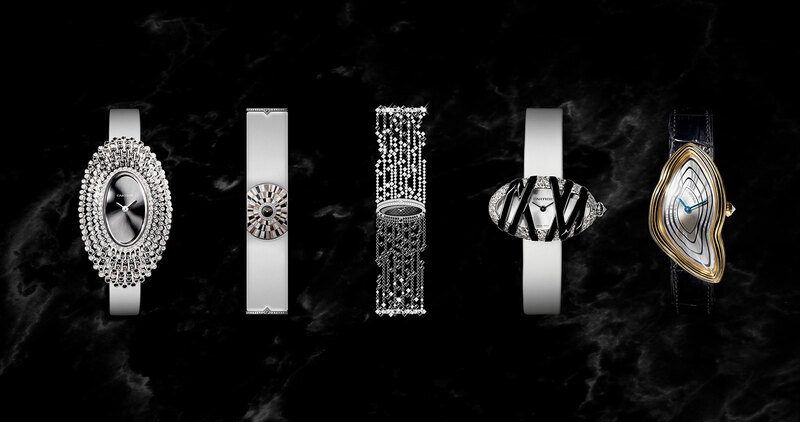 A new take on the jeweller's trademark timepieces. Having already unveiled a pair of “high complications” ahead of SIHH 2018, Cartier now takes the covers off a collection of ladies’ wristwatch, Cartier Libre. Comprised of five limited edition models, each Cartier Libre wristwatch is a reinterpretation of a classic Cartier case shape. The line-up is made up of four ovoid Baignoire watches, as well as the psychedelic Crash Radieuse. Inspired by the founding myth of the Crash wristwatch – it was ostensibly based on a timepiece severely damaged in a car crash – the Crash Radieuse is covered in a shockwave motif that ripples out from the centre of the dial. The waves are lines of black lacquer that start on the silver dial and continue onto the case. 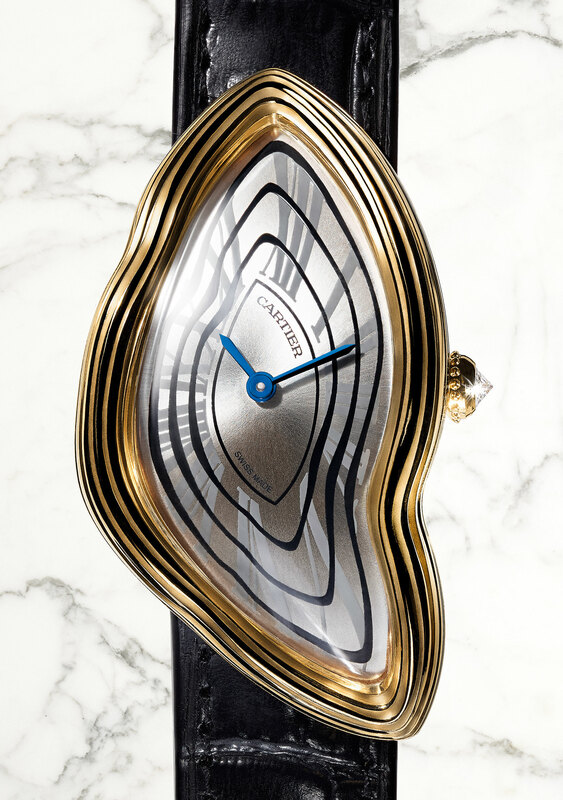 Aside from the recent Crash Skeleton, Cartier has never made any other variations of the Crash, making this an unusual creation. The Crash Radieuse is in 18k yellow gold, and powered by the 8970 MC, a hand-wound movement made by Jaeger-LeCoultre. It is limited to just 50 pieces and priced at US$40,700 or €39,600. 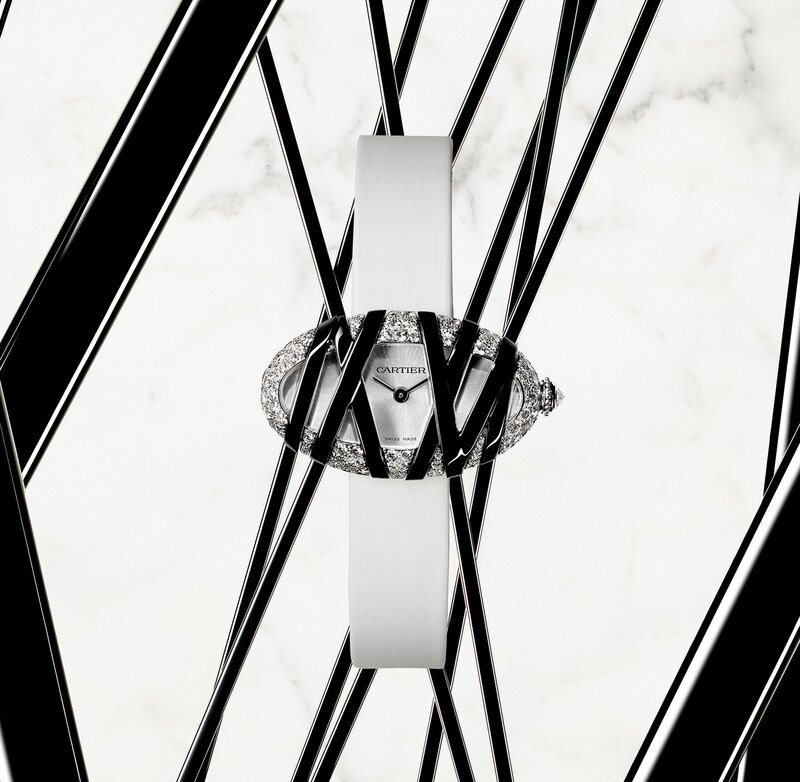 The other four Cartier Libre watches are all based on the Baignoire, which translates as “bathtub”, in reference to its oval shape. Each is a clever play on the model name. 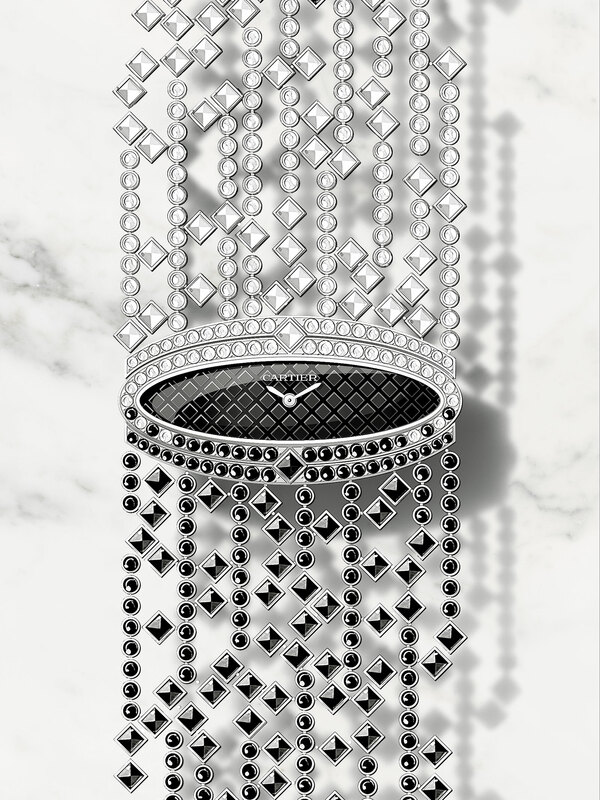 The Baignoire Débordante, or “overflowing bathtub”, with black spinels and diamonds set on a lattice work seemingly overflowing from the case. It’s 18k white gold, quartz and limited to 50 pieces. 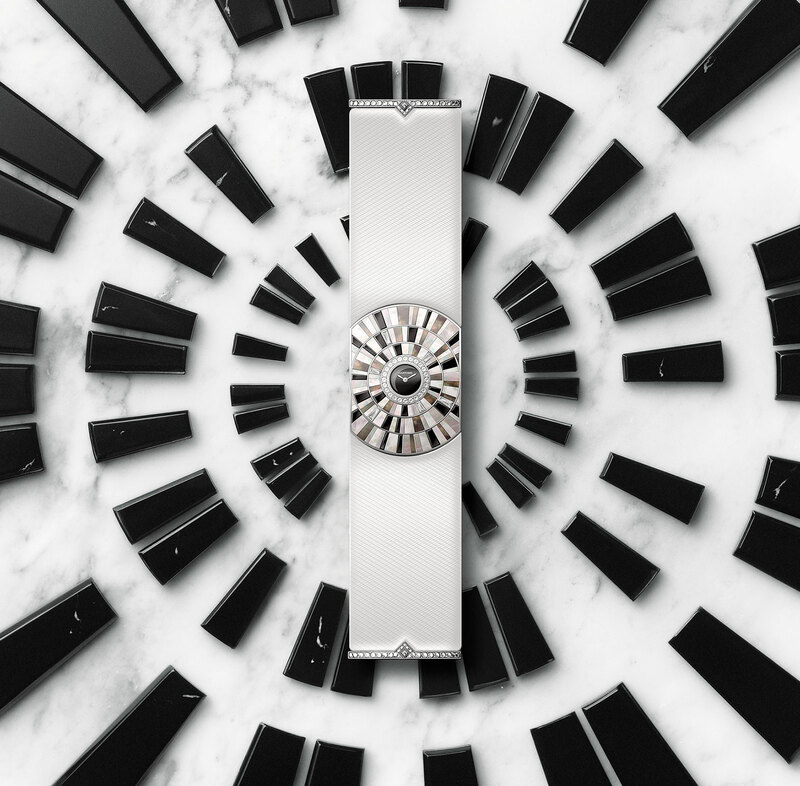 The Baignoire Infinie is finished with an inlay of radiating mother of pearl and black spinel tiles, meant to be a variation of the Baignoire Allongée, or elongated Baignoire. Also quartz, this is limited to 20 pieces. 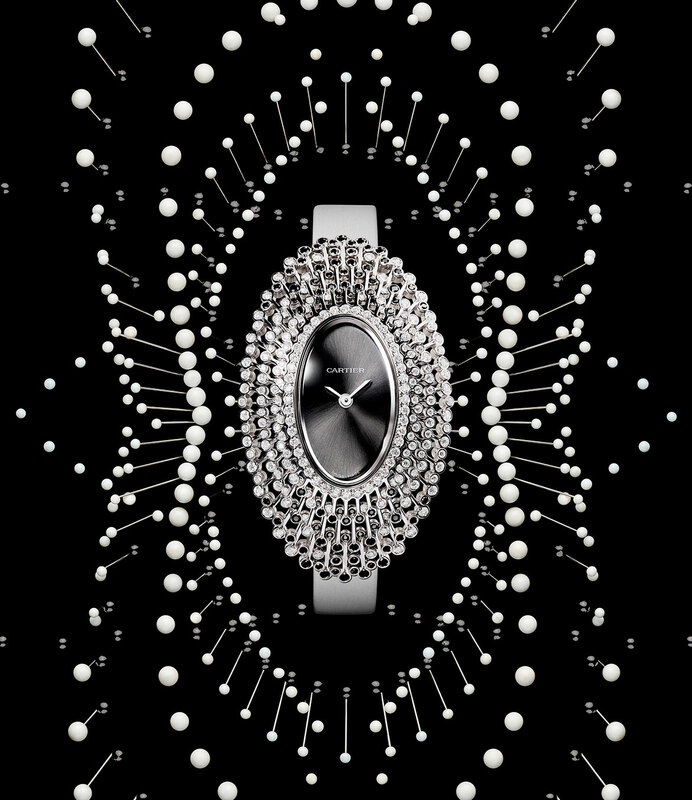 The Baignoire Etoilée is all about the cascade of precious stones, diamonds on the top half and black spinels below. It is quartz and limited to 15 watches. And the final model in the series is the Baignoire Interdite, or “forbidden bath”. It’s a traditional Baignoire shape, except one turned 90 degrees on its side, with the front crisscrossed in strips covered in black amorphous diamond-like carbon (ADLC). In between the black bands peek diamonds set onto the bezel. This is a 50 pieces limited edition, and quartz.